While jade rollers are having their moment in the spotlight right now, they have actually been a staple in Chinese skincare routines since the 7th century. You can think of them as handheld mini face massagers. They are can be made of beautiful green jade or pink quartz, and are believed to have healing and protective properties for the skin, including boosting blood circulation, reducing swelling, and allowing for deeper penetration of skincare products. Jade rollers look like the one in the photo above: they are made out of the gorgeous jade green stone and have a rolling piece at the top with a handle. Some jade rollers have a smaller roller at the bottom of the handle too, which can be great to use on smaller areas of the face. I like to keep my jade roller in my refrigerator so that it is cold and refreshing when I go to use it. I use mine at night after I have washed my face and applied my nighttime facial oil (this one and this one are my favorites lately). I simply wash my face, apply my oil and roll away all over my skin. It is said that not only does this help with circulation, but it also helps your oils or serums to reach a deeper level of your skin, allowing the product to really penetrate and do its job. Jade rolling works best if you think of it as a massage tool: Roll back and forth, up and down and side to side, working around your facial contours and adding a little more pressure with the upwards motions. I’ve also read that jade rolling can help with lymph drainage if you start rolling from your nose as the central starting point, then rolling outward to the sides of your face; start in the middle of your chin and roll towards your ears; start at the top of your neck and roll down towards your chest. This rolling path is said to help your skin detoxify. The most well-known benefits of using a jade roller include reducing inflammation and puffiness of the skin, reducing the appearance of under eye circles (especially if your roller is cold), stimulating the lymphatic system and blood circulation, brightening complexion, tightening pores, helping reduce the appearance of fine lines, and allowing skincare products to penetrate more deeply. Aside from these benefits, I also find it a lovely way to relax and get in “bedtime mode” after my skincare routine in the evening. After using my jade roller, my skin always feels cool and calm and ready for bed. 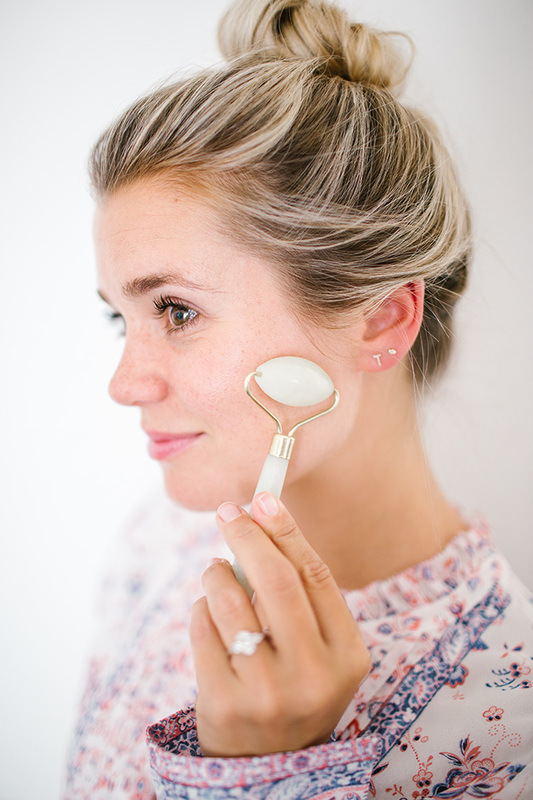 I have loved incorporating my jade roller into my nighttime skincare routine, especially when it is nice and chilled after being in the refrigerator for an hour or so. 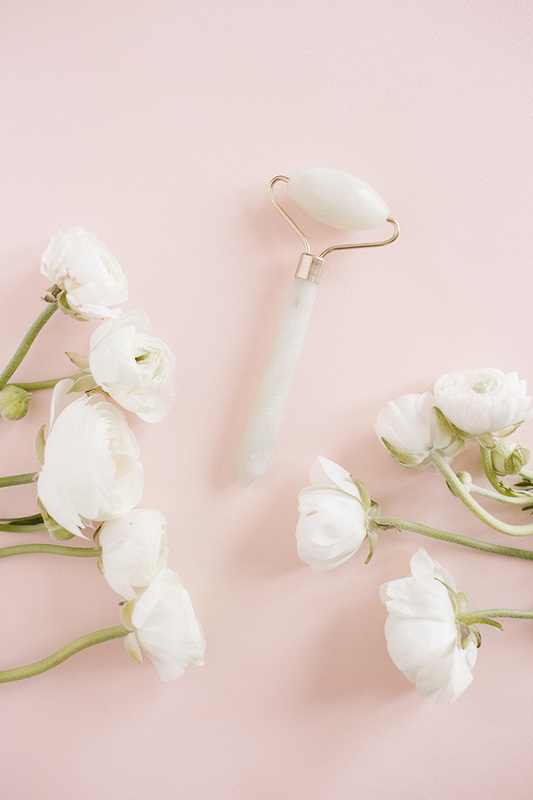 Do you use a jade roller? And, do you have any new beauty trends you’d like to see us write about here on LaurenConrad.com?